Hamilton Tiger-Cats starting running back Alex Green injured his hand and will be out for a couple of weeks. 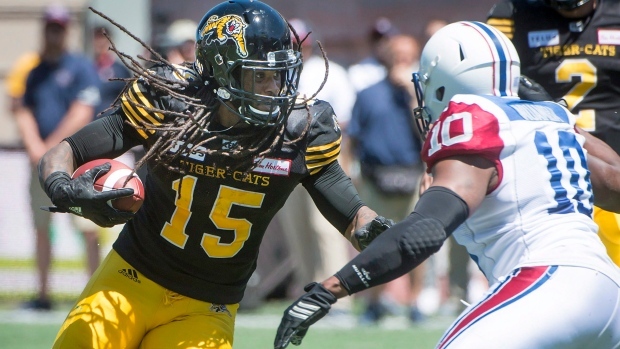 This news comes shortly after the Tiger-Cats announced that they have signed former CFL All-Star running back John White to the practice roster. Green played six games with the Ticats in 2017 and rushed for 447 yards and five touchdowns. The 29-year-old was selected as the 96th pick in the 2011 NFL draft by the Green Bay Packers but was released in 2013. Green also spent time with the New York Jets where he appeared in 13 games. He signed with the Tiger-Cats in February 2017 when C.J. Gable went down with injury.